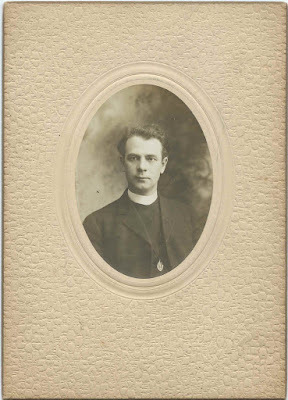 c1905 photograph of Rector Joseph R. Norwood, then at Christ Church Parish at Eastport, Maine. 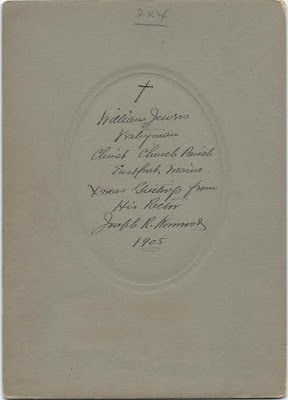 The photograph was given at Christmas to one of his parishioners, William Jewers. Joseph R. Norwood was born about April 1869 in New Jersey, according to the 1900 Federal Census of Mount Desert and Cranberry Isles. He was married to Myrtie, born about March 1873 in Canada. They had at least child, daughter Myrtle, born in New York about July 1892. Rev. 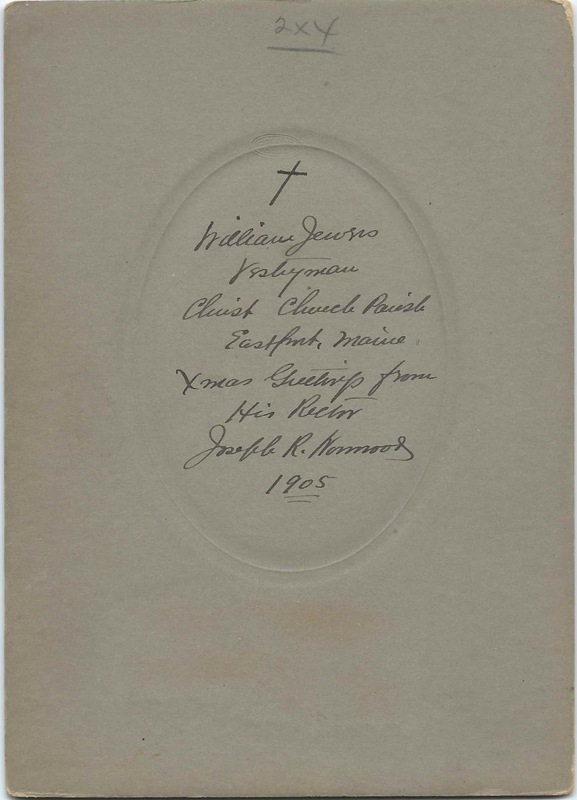 Norwood served in various churches in Hancock and Washington Counties, Maine. I believe it was this Rev. Norwood who was single, working as clergyman and living at Cambridge, Massachusetts, in 1920, according to the Census. And I wonder if it was this Rev. Joseph R. Norwood whose ordination at a Bellport, Long Island church was mentioned in an 1893 issue of the Brooklyn Daily Eagle.